HandyCafe is the best solution for your cybercafe. 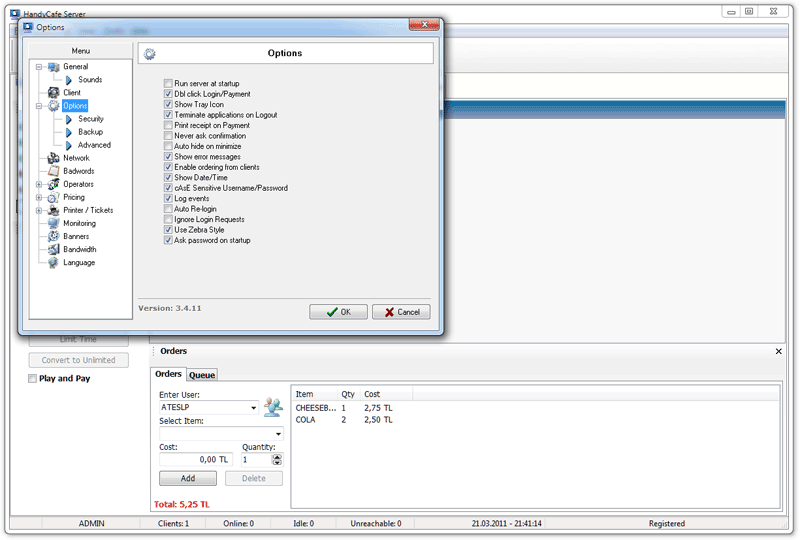 Firewall option enables you to restrict Web sites, connections and to filter Web sites. You are not supposed to change any network or computer settings for installation. 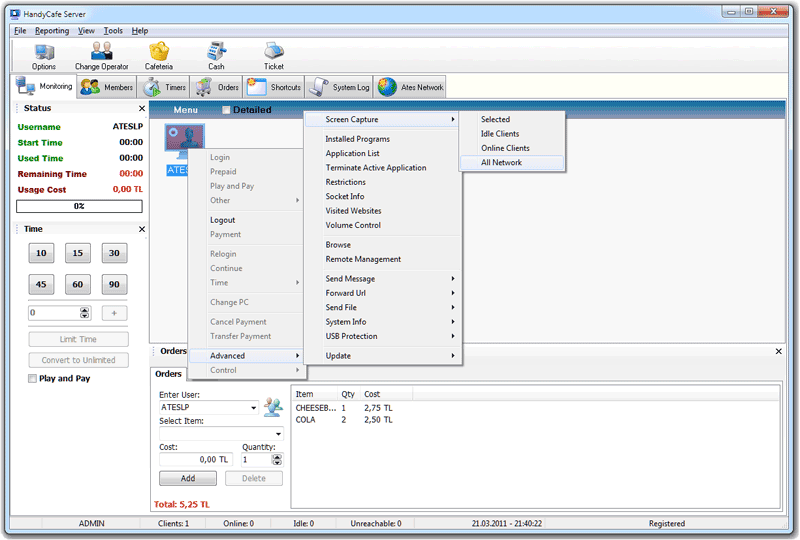 Remote management option enables you to control client desktop from server. 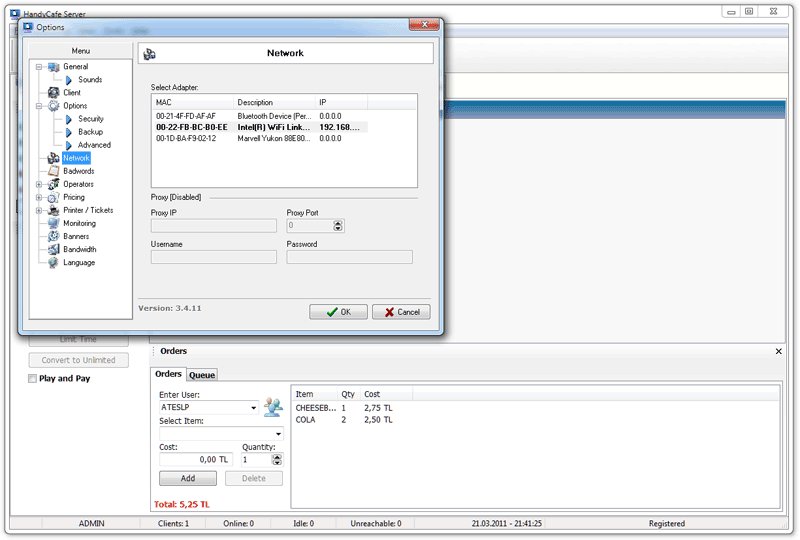 You can also browse client computer without network sharing. You can create your own language file. HandyCafe Internet Cafe Software was written by using the latest technology and concept. Many newly added features contribute the software more elasticity and skill. HandyCafe is an Internet Cafe Software which brings prestige to the business with an easy to use structure and its reliability in the network media. Ates Software released HandyCafe Internet Cafe Software for FREE all over the world. Why would you pay if you can use the best Internet Cafe Software for FREE? Sign-up now and start using HandyCafe Internet Cafe Software now in your Cybercafe. AND ALL FREE..! Thanks to Firewall Feature of HandyCafe Internet Cafe Software, your computers in your Cybercafe will be completely protected against harmful web based attacks and web pages that you want to check the access. This feature is standard for all HandyCafe versions and for free. You can directly access all computers in your Cybercafe by HandyCafe remote control module and make all changes you needed without moving from your desk. HandyCafe Internet Cafe Software is the only complete solution you need to manage your Cybercafe at ease! You can create individual accounts for all cashiers and employees with HandyCafe Internet Cafe Software and give authorization as you wish. You can also report all revenues of cashiers and processes at any time for your Cybercafe. HandyCafe Internet Cafe Software has a design that enables you to monitor and manage all computers totally or individually as you wish. You can get screenshots of your Clients anytime you wish. 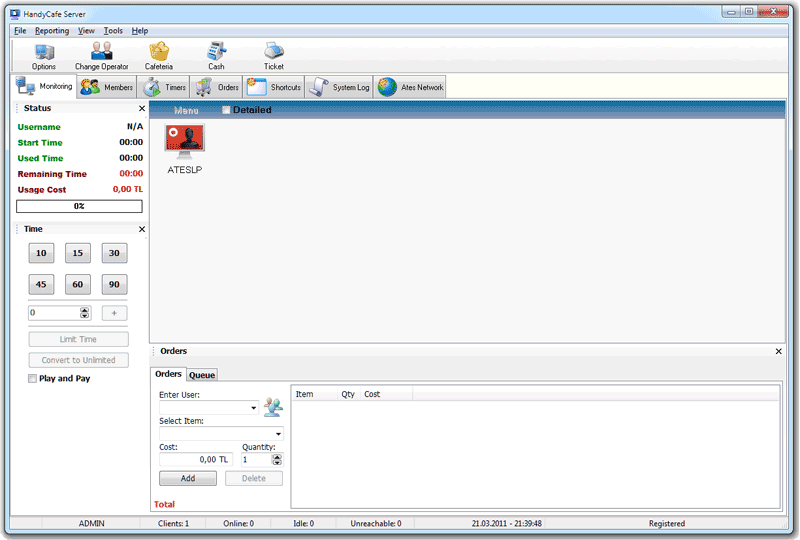 Thanks to HandyCafe Internet Cafe Software, you will easily take the full control of your computers in your Cybercafe. You can automatically supervise the printer in your Internet Cafe while your customer is using it and then can price the process. HandyCafe Internet Cafe Software makes your timing process for other income provider tools and games like PlayStation, Backgammon, Billiards, Chess, etc., and reports all results. All operations in your Cybercafe will be easily done due to reliable and easy to adjust price options.